Welcome to Ward 5 Online: Somerville Local First and Eastern Bank Present: Harvest Fest 2013! Somerville Local First and Eastern Bank Present: Harvest Fest 2013! Local Beer, Food and Entertainment to Support Somerville Local First! Fall is upon us, which means it’s time for Somerville Local First’s (SLF) Fifth Annual Harvest Fest 2013! 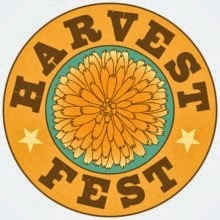 Presented by SLF Member Eastern Bank, Harvest Fest is one of the premier beer and food tasting events of the year. Somerville Local First, a nonprofit organization working to build sustainable local economies, will host its fifth annual festival and fundraiser in two sessions on Saturday, October 19, 2013, at the Arts at the Armory. All event proceeds go towards SLF's operating budget to build and strengthen the local movement and local business community in Somerville all year long. Join Somerville Local First members and local economy advocates far and wide for a day or evening of delicious food from some of Somerville's best local restaurants, local beer from some of the favorite independent brewers from Massachusetts, great live music, games and much more. This is not your average nonprofit gala and has become one of the most anticipated events in greater Boston. Tickets are on sale now: http://bpt.me/453075. "This annual event showcases what is great about local businesses in Somerville­­innovation, hard work and passionate patrons. All have helped strengthen Somerville's local economy and have made it a great place to live, work and play. It is so exciting to be celebrating all of this in our fifth year of Harvest Fest! " 2 from 6 p.m.­9 p.m., and will bring together the best businesses in the local movement all under one great roof at the Arts at the Armory. Harvest Fest would be nothing without the beer; attendees will be able to sample unique brews from a wide selection of Massachusetts breweries. A number of locally­owned and operated Somerville restaurants will be highlighted at each session to satisfy every palate and participants will get a delicious serving of each. This is a can’t miss event for supporters of strong local economies, beer lovers, foodies and all those who love Somerville. Harvest Fest has something to offer just about everyone.